API technology underlies much of the modern world. Using a Video Streaming API is becoming more and more popular among professional broadcasters. These “Application Programming Interfaces” connect the pieces that power our apps, our phones, our computers, our cars, and many other elements of modern life. This essay will focus on a specific use-case for APIs: broadcast video. How are traditional TV stations integrating simultaneous live online video broadcasts into their systems? How can you build your own “video portal” for your online content? How can you integrate video content into mobile apps and other innovative platforms? The answers all revolve around one piece of technology: the API. An API, as you may already know, is an “Application Programming Interface.” But what does this actually mean? APIs are available for various platforms. They include websites, databases, services, mobile and desktop apps, operating systems, and so on. And, they’re available for live streaming and on-demand video platforms. What do you do if you’re trying to deliver a complex application? Do you code it all from scratch, or do you piggyback on what has already been done? If you have limited technical resources and time (like all of us), the answer is usually the latter. APIs allow you to build powerful platforms that interface with other systems to exchange data. This can happen dynamically, in real-time, and without human interaction. Today, almost anyone can use APIs to build complex platforms with limited technical experience. 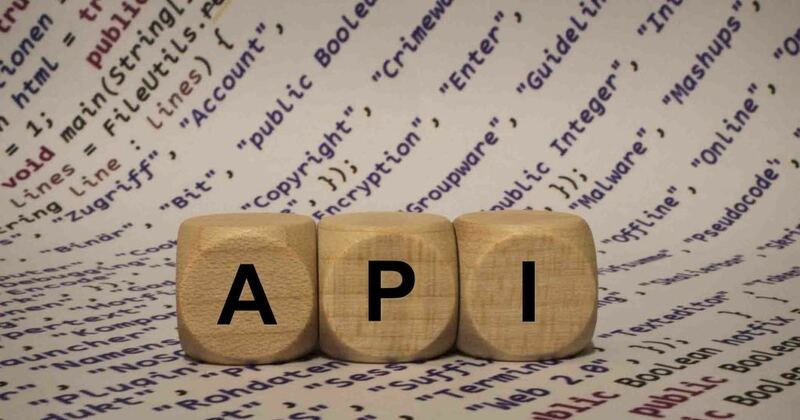 Unlike ad-hoc information exchange systems, APIs are standardized. That makes these systems reliable and scalable. The broadcast industry is experiencing a long-term shift in its business. Mobile and internet video are on the rise. Traditional Over the Air (OTA) television broadcasting has begun to decline. According to AOL executive Bob Bejan in an interview with AdWeek, broadcasters need to get ahead of this trend. The direction the industry is moving is clear. If media broadcasters want to survive, they’re going to have to move in a new direction. That involves online video, apps, and mobile distribution. In a broadcast setting, efficiency is everything. Automating as much of the system as possible is essential. And it’s critical that every part of the system be rock-solid. There’s little room for errors or delay. Using APIs to integrate various systems fits into this paradigm perfectly. A small upfront investment in coding and setup can pay off for a long time. There are thousands of companies using APIs in innovative, amazing ways. Unfortunately, only a few of these have documented their efforts to share with others. But even a small glimpse into the functionality enabled by APIs is fascinating. Here are a few examples of businesses using APIs to power up their operations. APIs help make your system future proof. That’s because they enable features changes, system updates, and even complete overhauls. This can be done without disrupting applications and services that rely on your API. One good example comes from Japan. A video sharing platform called Niconico was facing performance issues due to high usage. Performance experts at Lightbend were able to rewrite the Niconico codebase. In the end, they achieved a 400% increase in efficiency. All this was achieved without disturbing their platform thanks to tight API integration. The underlying technology changed, but the API’s that handled the data remained the same. Operations were not affected and users were not disrupted. Video services provider Kaltura works with multiple local news channels around the United States. Their Live Streaming API has enabled clients to create dedicated, branded platforms. These support both public facing and private web applications. Staff and reporters get a branded, customized page for uploading. And viewers simply watch their favorite content on the local news website. People never know a third-party platform is actually serving the data. 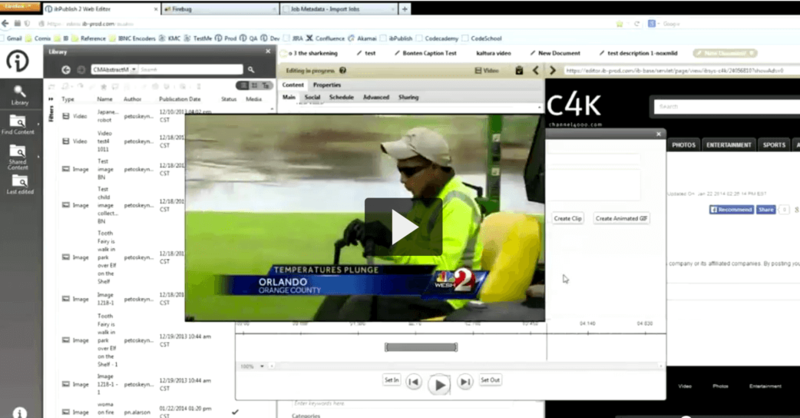 Another tool allows journalists to clip and trim video content right in their system. Then, they can choose screenshots and create image galleries from video content in just a few clicks. Finally, they can publish to their network’s website, even if they’re working remotely. This results in a seamless experience for users, even non-technical users. And the Live Streaming API is behind it all. One interesting example of a video streaming API in use comes from a company called Sezion. They provide automated video generation and publishing services. Essentially, their platform allows event organizers to prepare a video drop zone. People could record videos of themselves talking about their favorite parts of the event. Or, they could simply say they were there. Then, they upload to the Sezion web app and choose a title. The API ingests the upload and automatically adds tags and a description. It adds a customized animated intro and outro animation. Then, the video is automatically uploaded to YouTube and Twitter. In this way, you can create dozens of relevant, interesting, and professional videos. All in a very short time. Compared to doing this all manually, the amount of energy and time spent is tiny! One problem with rich content like video is that it’s hard to index. That’s where services like Swink.TV come in. Swink utilizes teams of online workers to analyze footage of sporting events. These viewers cut each video up into individual plays. These plays can then be indexed by team, player name, type of plan, and so on. This work is done by humans, but is made possible via an API. The API pulls full clips from client servers. Then it’s used to upload data on each play that’s outlined by Swink workers. Then, it indexes the data on each play, and categorizes each clip based on user input data. This results in a streamlined, affordable system for pulling the best plays from games and making them available. Thanks to the API – it’s fast and seamless. APIs enable collaboration. One good example of this comes from First Utility, a British energy company. First Utility use APIs to build their own applications for internal use. But they also have developed apps that allow consumers to monitor energy use in real-time. They make these APIs available to third party developers for their own purposes securely. According to Keith Sterling, their head of Software Development, the API is key to this. “The strategy we have is to make our data open, so that customers can engage with their own data,” he said. These business aren’t alone. Even the government has started using APIs to make open-data available to the public. One great example is the city of Seattle. They’ve released a number of APIs. One provides access to crime data. Another allows you to visualize building permits geographically. A third indexes vehicles being sold by the city. The fourth provides data on cultural spaces like theaters, galleries, arts spaces, libraries, music venues, and so on. Pretty cool! Ooyala’s 2015 “state of the broadcast industry” report agrees. “2015 was the year that premium OTT (over-the-top) video content moved decisively to center stage,” the assessment reads. OTT refers to content delivery via the internet rather than through the traditional OTA or cable TV broadcast via set top box to the TV set. Traditional TV and film models require paid cable or satellite packages. Most customers only end up using a fraction of the available channels. Bypassing this model, OTT video allows people to access their favorite shows at a fraction of the price. This approach has been disrupted by services like Netflix, Hulu, Apple TV, and Amazon Prime video. These services have put the OTT business model in the mainstream. One of the most successful businesses to jump on-board has been HBO. In March 2015, HBO launched “Now,” it’s standalone service. HBO Now provides access to their entire library. It’s been a huge success. OTT is a cornerstone of their future strategy. This type of approach is now being replicated by others in the broadcast industry. CBS, Showtime, and Lifetime are all going online. So are many others. Business leaders are recognizing a shift in the industry. Online video—both live and on-demand—is the future. 8. Are you a broadcaster with legacy broadcaster software? Many TV stations and other broadcasters have complex technical systems. However, they’re often not at the cutting edge of technology. Systems have been cobbled together over years or decades. Budgets have fluctuated, and there is no reason to replace equipment that works fine. Even if better alternatives are available, why spend the money? This is not a problem. Using a Live Streaming API allows broadcasters to integrate established digital workflows and systems with OTT content. Live or on-demand, it doesn’t matter. There’s no need to have separate workflows for separate platforms. Instead, everything can be combined. How can we adapt old broadcast systems to new challenges? With a Video Streaming API. Broadcasters typically use content management systems and broadcast servers for “linear” TV. These servers schedule programs and commercials. They can use a Video Streaming API to connect these systems to online video platforms. This enables them to automate simultaneous publishing to the internet. Live feeds can be made available OTA and online at the same time. With this system, the amount of changes to your workflow are minimized. Everything remains automated—or at least driven by existing user interfaces. The API allows computers to do the hard work while staff continue well-understood procedures. This also eliminates the need to retrain staff. When organized correctly, the system runs like a well-oiled machine. Check out this video for a great example. The amount of expertise that goes into producing a football game is incredible. A Video Streaming API makes broadcasts like this possible by automating the delivery of content to the web. This happens alongside traditional content. When organized well, it feels like a long bomb touchdown! Mobile apps are increasingly powerful, popular, and disruptive. Organizations may want to build their own for many reasons. You may want to create a “broadcaster” platform that allows your staff to live stream. Or, you may want to repackage a live streaming service inside your own app. It could even be monetized. Coding an app like this is practical with the use of an API. Various Software Development Kits (SDK) like Kickflip simplify the coding process as well. With a Live Streaming API and a video SDK, you can deploy an app fast. A Live Streaming API makes this practical. With an API, you can custom-code your own mobile app. It can be based around video content hosted and streamed via an external platform. You can simply use standardized JSON syntax to embed the content you want inside your app. This allows you to create a customized, branded experience. All without having to worry about creating your own live streaming platform. The process is simple and relatively non-technical. The same basic procedure can be used to create a web app. These “video portals” can be coded to automatically populate. When content is published to a particular folder, it’s added to the site. In a case like this, The Video Streaming API is used to push content to the cloud. Then, the API extracts embed codes. These are placed inside their CMS on the pages where viewers can watch. Most broadcasters have already rolled out platforms like this. Have you? If not, you may be late to a very important party. We’re living through a period of extremely rapid shifts in the industry. The combination of broadcast quality video and web technologies is very exciting. It’s shaking up the traditional broadcast market and enabling new players to succeed. Using a Video Streaming API makes sense for most broadcasters. With a minimal expense and technical fuss, you can bring a legacy system into the 21st century. This can happen quickly, without having to retrain staff or develop a whole set of new procedures. APIs are a powerful set of tools. Their use in broadcast video is expanding rapidly. We’re seeing things become common that would have been impossible just a year ago. The pace of change is astounding. Are you considering using a Video Streaming API in your broadcasts? Are you already using one? We’d love to hear stories of what people are doing and the challenges they face. Let us know in the comments. And stay tuned. In the future, we’ll be publishing a series of essays like this one on various API topics. Thanks for reading! For your project, I think that an API would do the job indeed. It is especially powerful when building your own app. or platform.